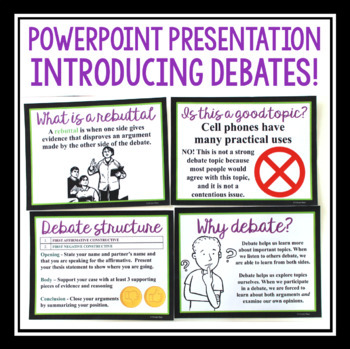 Debate Resources: This resource has everything you need to set up and implement a formal debate in your classroom. 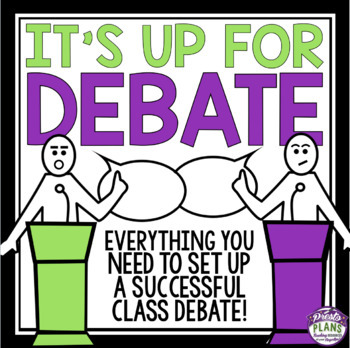 Use debates to improve your students’ research, writing, speaking, and listening skills. ♥ Stop searching around the internet. These sheets have a clear way to organize your debate. Always a must for the kids to have an organized sheet to aid them. ♥ Super product! My students can't wait to do another debate. Excellent format and excellent for critical thinking skills. ♥ Great way to introduce How to debate. The handout were great for students to prepare for their debate. It was music to my ears hearing them being so passionate about their topic and hearing them support their arguments. I highly recommend this product! ♥ Excellent unit for middle school or any upper elementary grades interested in providing an introduction to the debate process. I love the power point and the handouts. Well worth the price. • A 17 slide Powerpoint Presentation that introduces students to debate, why it is important, developing a debate topic, debate structure, and how to win a debate. Also included are important terms like affirmative, negative, and rebuttal. 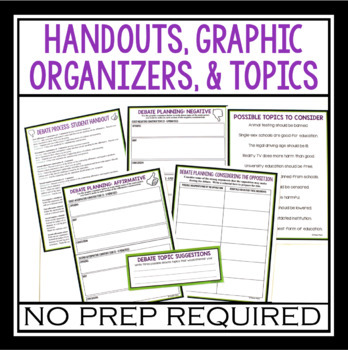 • 3 Graphic organizers for students to use in preparation for the debate. • List of possible topics students may be interested in. 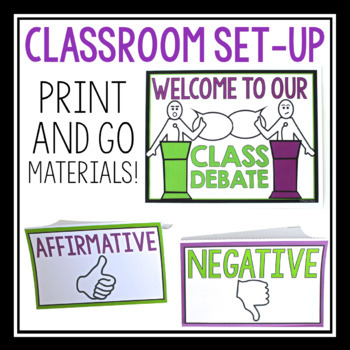 • Foldable pop-up cards with Affirmative and Negative to put on each of the debate tables. Like This Resource? Click The Links Below To See More By Presto Plans!